Recently, Guangdong Province Department of Science and Technology 2580 announced that OPWAY has successfully identified as “Guangdong Province 25G, 50G, 100G, 200G, 400G high-speed optical module Engineering Research Center for 5G and large⊇r large data centers”. As the fifth generation mobile communication system for 2020 and the future, 5G is an important part of the economic and social digital transformation. The wide application of 5G will provide solid support for mass entrepreneurship and innovation, and promote the construction of a strong country and a network powerhouse. With the rapid development of 5G, it is expected that the number of 5G base stations in the future will be many times higher than that of base stations in the 4G era. As the number of base stations increases and the 5G technology is upgraded, the number and rate of optical modules connected between base stations will also undergo a qualitative change. In February 2019, the Ministry of Industry and Information Technology and other three departments jointly issued the 'Guiding Opinions on Strengthening Green Data Centers', clearly requiring the establishment of a sound green data center standard evaluation system and energy resource supervision system, and creating a batch of advanced models of green data centers. A group of innovative green technology products and solutions to cultivate a group of professional third-party green service organizations. By 2022, the average energy consumption of data centers has basically reached the international advanced level. It can be seen that in recent years, the world has entered the era of DT (data technology), and China's IDC market is also transitioning from a high-speed development period to a mature period. Since its establishment in 2010, OPWAY has been exploring the optical transceiver module market and technology fields. In the past two years, it has devoted itself to the research and development of 25G, 50G, 100G, 200G and 400G high-speed optical transceiver modules and data center interconnection products. 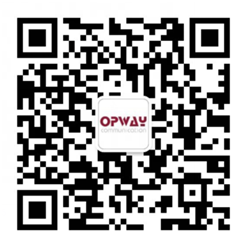 In response to the country's summons, OPWAY has achieved major technological breakthroughs and innovative platform design results, and successfully launched a variety of small size, innovative, low-power consumption high-speed optical modules and data center interconnection products. “Hop like a fish in the sea, fly like a bird across the sky.” OPWAY will join hands with the new and old customers to create brilliancy!